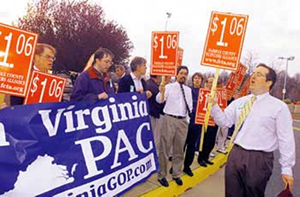 Northern Virginia GOP.com TV is a forum for political issues that affects all of us. We interview elected officials, candidates for public office, community leaders & more. We air on 21 stations reaching over 3,000,000 potential viewers. For airtimes in your area, visit our website! Various monthly topics are provided to viewers by members of the American Association of University Women. RAM JAM Ultra! is comedy show that takes a look at some of the funniest videos ever posted on social media, including those that have gone viral. Your host, Richard Jackson, shares his comedic take on these videos, while also including stand-up, skits, and improvisional comedy. Come get your laugh on and forget your troubles with RAM JAM Ultra! Each program deals with realistic and effective methods of self-defense which are useful for beginners as well as no-holds-barred competitors. Master John K Thomas, former Navy Seal instructor, two-time national full-combat champion and trainer for the special service and hand-to-hand combat, will take you step-by-step through a thorough explantion of how to survive a potential assault. Until then - train hard, or not, it's up to you! This program features yoga demonstrated by Cynthia and other guests. Each show targets a specific interest, such as "Yoga to Improve Your Golf Swing," "Yoga For Athletes," Children's Yoga, Gentle Yoga" & more. Rotary Time is your local Rotarian program on Fairfax Public Access Channel 10. 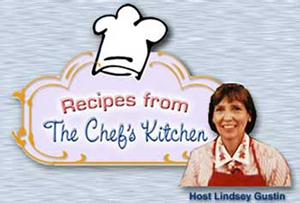 A weekly show with guest chefs hosted by Lindsey Gustin. Recipes featured on the show are available on our website, www.chefsrecipes.org. That Anita Live tackles complex emotional issues by educating the women of Fairfax County on how to emotionally heal so they can live fulfilling lives of emotional happiness. Healthy You wants to show you the benefits of a well-planned diet, not only for your health but for our planet as well. We have yoga and other health-related segments to help live a better and healthier lifestyle. Community Central TV utilizes a panel format, various community leaders and community members discuss such vital issues as health & wellness, employment, education, childcare, the economy, taxes, political officials and the business sector. Community Lifestyle TV delivers educational talk interview segments designed to cater to current lifetyle trends. Tune in every week to see the Mystical Poets present a music-based how that also discusses issues relative to the African community and diaspora. A children's show with topics ranging from learning about alphabets, verbs, and nouns are taught. Play Politics informs and gets feedback from the community regarding today's politics and the candidates running for election. Every Monday night, tune in for a live political debate show with local candidates, community organizers, and more. Your neighborhood garden expert is here to help answer all your questions about plants, flowers, weeds, tools, chemicals, pests, wildlife, landscaping, growing, and more! 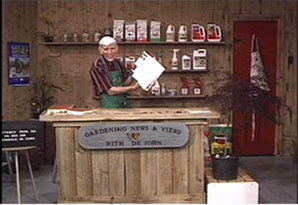 Featuring a plant of the week and step-by-step instructions, Dr. John's show will entertain & inform even the green thumb beginner. Green TV increases public awareness of environmental issues and showcases the candidates who advocate them. Do you know where MJ is? She is bringing women together, bonding, sharing causes, families, fun, passions, girly talk and more. Be sure to catch where MJ is on this program every month! What's on TV is a late night interview and comedy show geared towards adults.